This designer bathroom mirror with overhead lights has a stylish aluminium frame surround making this mirror an ideal choice for contemporary designed bathrooms. This illuminated mirror is available in 4 sizes with a choice of 2 light styles. 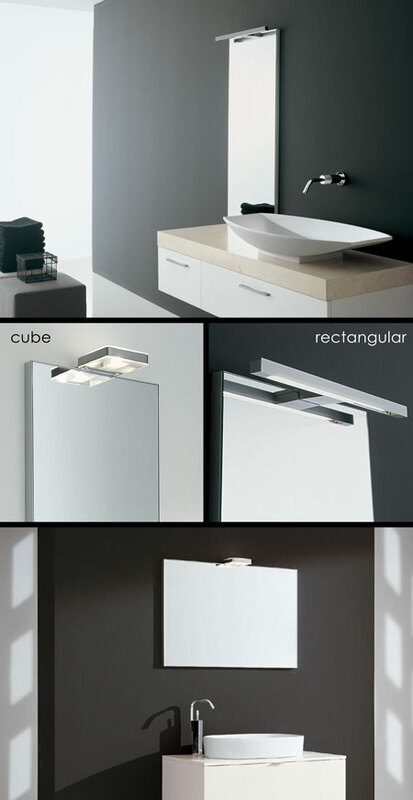 Priced to include square lamp with rectangular light as an optional upgrade. * Supplied in 4 mirror sizes. * 2 x mirror light designs.